An enticing place where the brighter blue skies have a sun that shines perkier and the vivacious nights are a fascination even after a day at work. You got to experience this city to genuinely fathom its attractiveness and the magical charm. Located on a scenic peninsula, Bodrum, hometown of the recognized Greek historian Herodotus, is nowadays well branded as a prevalent holiday resort. It renders hypnotizing beaches, mesmerizing villages with houses tinted in white and slashed with purple bougainvillea and excellent spots for exciting watersports. Dousing around at the aqua park is suitable for the entire family. Even the grownups there feel like they are reentering their youth. Exciting rides such as the Black Hole and Kamikaze awaits the audacious whereas the sluggish river and huge Jacuzzi are for the ones who want to sunbathe and unwind. 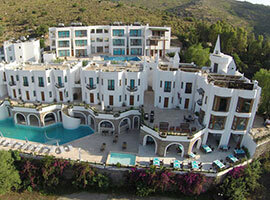 Bodrum is a magnet for adventure lovers. The keen windsurfers know the best spots and love this sport allover the Bodrum Peninsular. The advanced windsurfers love it in Kadikalesi, which is a small bay placed amid Turgutreis and Gumusluk. At the center, huge waves break just by the beach so you can get big jumps right away. Surf these waves and make it an awesome fun day with your friends. 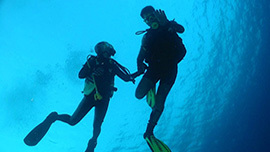 Bodrum is much publicized among the travelers from all over the world for the diving and it has best diving schools spread all across the resort to instruct the beginners and assist the experts too. Whether you choose a day-lesson or the whole course, you surely are going to have a fantastic time during this adventure. The brightest of colors mingled with strange yet appealing fragrances at the market create an aura that is irresistible for the tourists. Collect souvenirs for your folks and indulge in buying purely Turkish textiles, rugs or kitchenware. 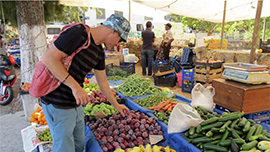 Be sure to polish your skills to haggle and pick a box of Turkish Delights on your way back. The turquoise water and untouched beaches are one of the attractions that make Bodrum beautifully unique. If you absolutely love swimming then Blue Voyage is for you. Get ready to proceed with the boats that wait along the seaside every morning to depart towards an unmatched experience and let you involve in the most tranquil escape. What could be more exciting than discovering the hidden and apparent treasures of history and adventures around new town on your own? True world travelers love nothing more than getting lost and finding a way around while exploring the place and stepping into the unfamiliar. Hire a car for a day and drive wherever the roads take you. Stop by at the fishing village called Gumusluk and give in to your cravings for seafood. When your focus is about to diverge from the calm of the sea and stupefying windmills lined along the hills, relics from history and citrus orchards, the spotless travertine pools of Pamukkale and the Greek theaters and the spiraling temples of Miletus, Didyma and Priene are only a day’s trip away that are worth the exploration. Defining one comprehension of thorough historical information on Halicarnassus is seemingly difficult but two meters beneath the confined streets of Bodrum prevails 5000 years of history. It is thought that Dorian settlers from Greece founded the city of Bodrum, anciently known as Halicarnassus, somewhere near 1000 BC. Since it’s a place where people have stayed continuously for thousands of years, Bodrum has an exceptionally deep history. It resides and neighbors many of the great civilizations and events of ancient history that makes Bodrum a significant site for historians. 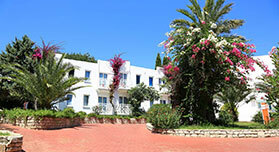 Bodrum has several ancient remnants and locates left behind by the Romans, Byzantines and Ottomans. The year 353 BC was the most substantial time in the account of the city when it was the capital of the Caria region. 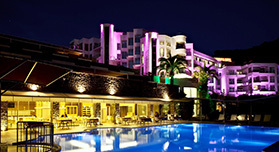 However, Bodrum still upholds its impact in the present time. It’s really hard to find a place around Bodrum that is not somehow related to history. Wherever you plan to go around the region, you encounter the treasures from history. Some of the monuments to attest to the rich history include the castle, the Roman theatre, the Museum of underwater archeology and Mausoleum of Halicarnassus. 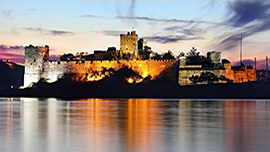 Bodrum Castle is one of the keystones of the town that has been well kept since its establishment in the 15th century. 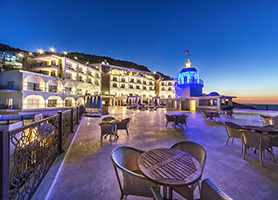 Figuratively you may call it the North Star of Bodrum for its visibility from every corner of the city and the first thing to noticeably welcome you upon your entrance in the city. Whether watched from the land or the sea, Bodrum’s prominent castle is an extraordinary illustration of medieval architecture. Occupying the base area of 30,000 square feet, the castle underwent years of construction. 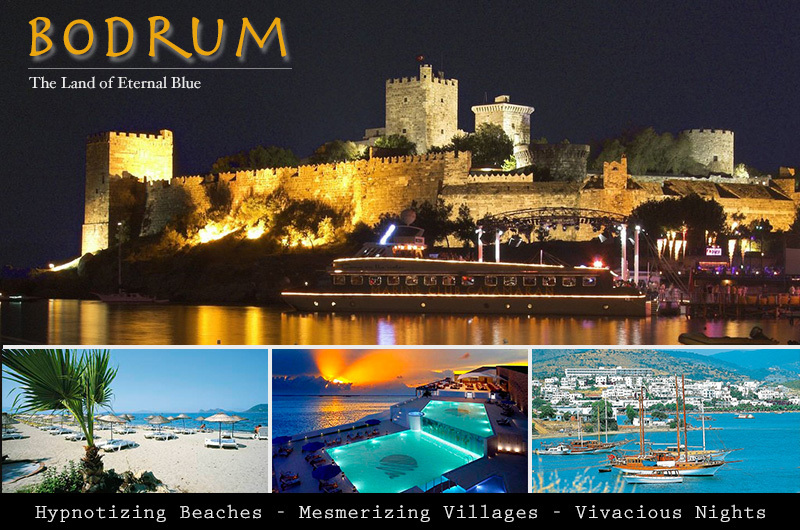 The Bodrum Castle stays open throughout the year and it features Bodrum’s amazing Museum of Underwater Archaeology and also entertains numerous Turkish cultural festivals. In 1995, the Bodrum Museum of Underwater Archaeology received an acclamation to be European Museum of the year. Impressions from the Old Bronze age, Classic and Hellenistic Eras are exhibited so as to take you to an absorbing past to the time of ancient mariners who sailed to encounter their fate stranded on Anatolian shores or to the medieval Age of Knights who fostered this castle from stones. It is not merely a typical clump of inert artifacts but it is a genuinely artistic and meaningful experience. The Bordum Amphitheatre makes an excellent spot for photography for its location on the hillside overviewing the castle and marina. It has a design just like other ancient theaters with a capacity for 13,000 viewers. The theater attained its completion in the Roman era and it is one of the unspoiled structures of ancient Halikarnassus. In the present time during the peak seasons, the theatre is used for concerts and shows.